Q. I have been digitizing my cassettes using Audacity. After the cassettes, the LPs are next. What is the best way to store and listen to these treasures? I don’t want to burn any more CDs. Is iTunes the best way to organize and play these files? A. Though I do not like iTunes nearly as much as I used to, as a Mac user I still find it the best option. I am open to ideas if any readers have other suggestions. Consumer Electronics Show report: Olympus has two lines of Micro Four Thirds cameras. The OM-D series cameras have an SLR form factor and a built-in electronic viewfinder. 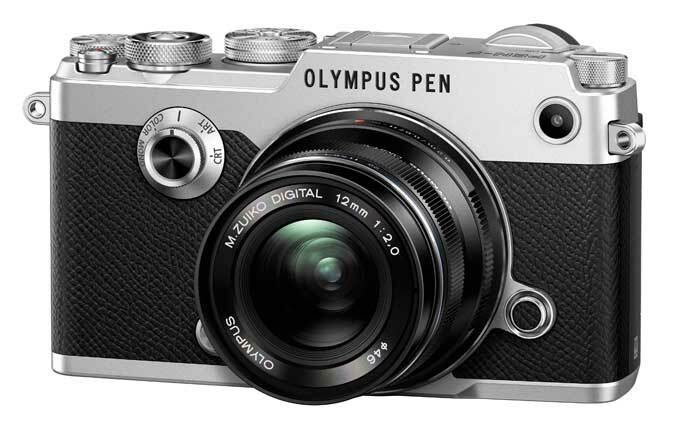 The live view PEN series cameras are styled like rangefinder cameras, but until now lacked an integrated viewfinder. With the integrated viewfinders, advanced capabilities and high value equation, the OM-D line tends to get the most attention from both the media and from consumers. That may change with the new Olympus PEN-F. I was shown the PEN-F at a private press meeting at the electronics show, and several weeks later was able to spend two weeks taking pictures with one. The PEN-F is easily the best Olympus PEN camera yet, and one of the most satisfying cameras you can buy. The PEN-F’s premium construction and vintage rangefinder styling remind me of a Leica M camera when I hold it. Among its many features are an electronic viewfinder, a new 20 MP sensor, five-axis image stabilization, 50 MP high resolution mode, and a front-mounted creative dial that allows you to quickly choose between Olympus Art Filters, different color profiles and film modes that duplicate the look of classic black and white and color films. The PEN-F offers a tactile experience unmatched at the price. The great feel, combined with the classic form factor and array of creative controls really makes photography fun and rewarding. Using it reminded me of my initial experience with the first Olympus digital PEN, the E-P1. I posted the original column about the E-P1 on my site so you can see the similarities. The only quibbles I have are the time needed to wake the viewfinder from sleep mode, and the video capabilities are behind some competitors. If video is a priority you will be better served with Panasonic’s excellent DMC-GX8, given its advanced video capabilities and 4K video. I will have more about the GX8 in an upcoming column.